Harry McCool was born on April 19, 1918, in La Junta, Colorado. He enlisted in the Oklahoma Army National Guard on October 20, 1936, and served in the Artillery before receiving an honorable discharge on February 4, 1940, during which time he completed his bachelor's degree from the Institute of Technology in Weatherford, Oklahoma. McCool then enlisted in the Aviation Cadet Program of the U.S. Army Air Corps for Navigator training on March 20, 1940, and was commissioned a 2d Lt and awarded his navigator wings on June 24, 1941. His first assignment was as a B-25 Mitchell navigator with the 95th Bomb Squadron of the 17th Bomb Group at Pendleton Army Airfield, Oregon, from June 1941 until he was selected for the Doolittle Mission in February 1942. Lt McCool was the navigator on the fourth B-25 to take off from the aircraft carrier USS Hornet (CV-8) on April 18, 1942, and after bombing Tokyo his crew flew to China and bailed out when their aircraft ran out of fuel. He remained in the China-Burma-India Theater after the raid, and served as a B-25 and B-17 Flying Fortress navigator with 10th Air Force in India from May to August 1942. 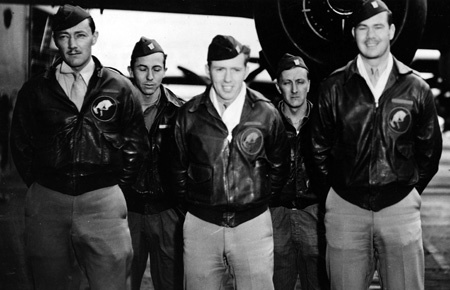 After completing B-26 Marauder Combat Crew Training, Maj McCool served as a B-26 navigator with the 344th Bomb Group in Florida and Georgia from November 1942 to February 1944, and then deployed for combat with the group to England and then France from February 1944 to March 1945. His next assignment was as a B-17 staff navigator with the United States Strategic and Tactical Air Forces in France from March 1945 until he returned to the United States in August 1945, followed by service as Acting Executive Officer at Camp Blanding, Florida, from November 1945 to February 1946. Maj McCool served as an Instructor in the Combat Operations Section with the 902nd Army Air Force Base Unit at Orlando Army Air Base, Florida, from February to June 1946, and then as an Instructor in the Operations and Intelligence Division with the 41st Army Air Force Base Unit at Brookley Army Air Base, Alabama, from July 1946 to July 1947. He received an Air Force Institute of Technology assignment from July 1947 to August 1949, and then attended Bombardier School with the 3535th Bombardier Training Wing at Mather AFB, California, from August 1949 to May 1950. His next assignment was as a B-29 Superfortress bombardier and as Director of Operations for the 301st Bomb Wing at Barksdale AFB, Louisiana, from June 1950 to December 1951, followed by service as a B-29 and then B-47 Stratojet aircraft observer, navigator, and bombardier with the 4th Air Division at Barksdale AFB from December 1951 to May 1956. Lt Col McCool served as Chief of the Plans and Programs Division with the 5th Air Division at Sidi Slimane AB, French Morocco, from June 1956 to July 1957, and then as Deputy Chief of the Collection Division, Directorate of Intelligence, at Headquarters Strategic Air Command at Offutt AFB, Nebraska, from August 1957 to June 1959. His next assignment was as Chief of the Collection Center, Chief of the Data Center, and then as Assistant Chief of the Data Systems Center with the 544th Reconnaissance Technical Group at Offutt AFB from June 1959 to January 1962, followed by service as an Intelligence Staff Officer with the 1007th Air Intelligence Service Group in Washington, D.C., from January to May 1962. He served as Chief of the Intelligence Office with the Joint Alternate Command Element in the Office of the Joint Chiefs of Staff at Fort Myer, Virginia, from June 1962 to August 1963, and then as Chief of the Defense Intelligence Agency Group for the National Emergency Airborne Command Post and the National Military Command System Support Group at Andrews AFB, Maryland, from August 1963 to August 1964. 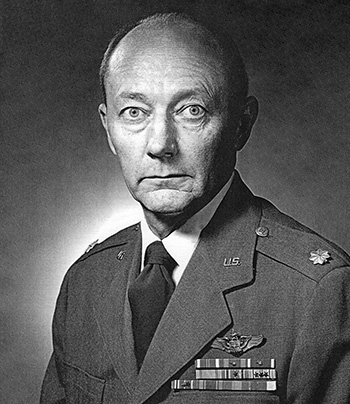 His final assignment was as an Intelligence Staff Officer with the External Plans Branch and then the Intelligence Plans Branch with the Assistant Chief of Staff for Plans and Programs at the Defense Intelligence Agency at the Pentagon from August 1964 until his retirement from the Air Force on October 1, 1966. Harry McCool died on February 1, 2003. For extraordinary achievement while participating in a highly destructive raid on the Japanese mainland on April 18, 1942. Lieutenant McCool volunteered for this mission knowing full well that the chances of survival were extremely remote, and executed his part in it with great skill and daring. This achievement reflects high credit on Lieutenant McCool and the military service.